Melasma is a frequently acquired hyperpigmentary skin disorder, for which several therapies are available. Among them, 1064 nm QS Nd:YAG laser therapy is an effective method, but the recurrence rate of laser treatment is still high. The aim of the present study was to elucidate the mechanism of the high relapse rate of melasma after 1064 nm Nd:YAG laser treatment. Twenty-five female melasma patients were treated with 1064 nm Nd:YAG laser for 10 times. The lesional skin and non-lesional skin were evaluated by means of a reflectance confocal laser scanning microscope before and after laser treatment. Melanin content and transepidermal water loss (TEWL) were measured by an MPA9 skin multifunction tester accordingly. 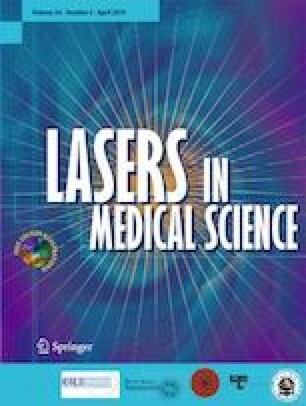 The melanin index value was significantly decreased in the lesional skin after laser treatment, while the non-lesional skin had no difference. The dendritic cells were observed at the level of the dermal-epidermal junction (DEJ) in the lesions of 8 patients before laser treatment, while after laser treatment, the dendritic cells were observed in all 25 subjects. Moreover, there was significant difference between the TEWL value of the lesions before and after laser treatment. Furthermore, the TEWL value was higher in lesions of the 8 subjects which had dendritic cells compared with other 17 subjects which had no dendritic cells, no matter before or after laser treatment. The relapse patients of melasma had higher TEWL value compared with the non-relapse patients. Melanocyte activation and skin barrier disruption may be related to the high relapse rate of melasma after laser treatment. This study was supported by the National Natural Science Foundation of China (No: 81872517), Zhejiang Basic Public Welfare Research Project (No: LGF18H110001), and Hangzhou Science and Technology Bureau Project (No: 20130733Q24).